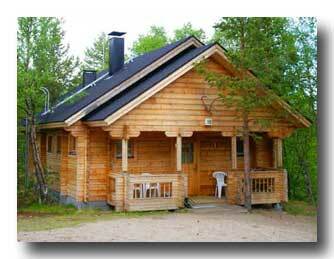 Accommodation in Enontekio, Lapland, Finland. Ounasloma is a family company, which has 13 luxury cottages close to the centre of Enontekio, on an ideal, naturelike peaceful place between River Narpistojoki and Lake Ounasjarvi. Smaller cottage has beds for five and bigger cottage for eight persons. All cottages have sauna and fully equipped kitchen. 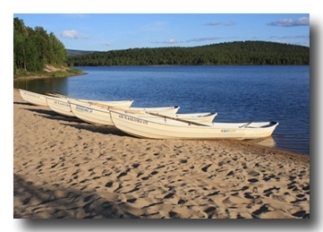 For our guests we have a beach with a mountain view by the Lake Ounasjarvi, 4 rowing boats, 18 bicycles, 30 kick sledges and outdoor maps free of charge. 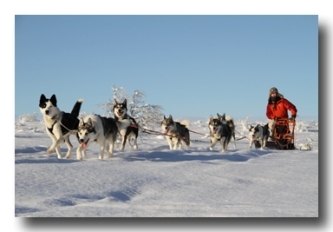 Enontekio offers peaceful hiking and skiing routes in Ounastunturi mountains, fishy rivers and many kind of activities like husky rides and reindeer farm visit. 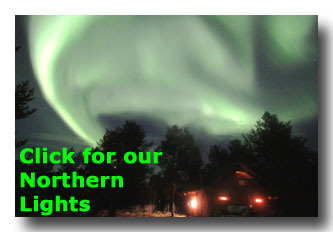 This is an ideal place to see Northern Lights. 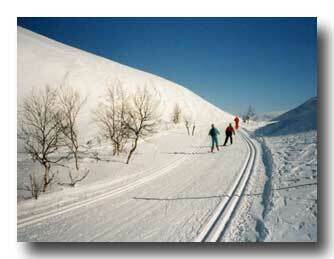 You can make a daytime trip to Norway and Arctic Ocean. 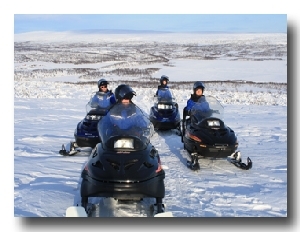 For our guests we offer snowmobile safaris to the wilderness.